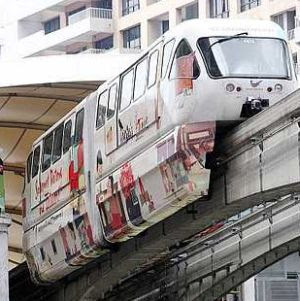 The MRT system should integrate seamlesly with other existing modes of transport such as the KL monorail. 2011 can be a year for the common folks and real estate industry players to celebrate if more timely efforts are expended to improve the overall living, working and leisure environment in our cities. There are a number of initiatives that need to be undertaken to further shore up the quality of living for the people. Top of the list is without doubt the dire need for a highly efficient and functional public transport system that will ensure the optimum integration and utilisation of the various modes of transport and infrastructure. The grossly inefficient public transport system in our cities now is the reason why our roads are so heavily congested as the people have no choice but to drive. Most environment-conscious cities around the world are clamping down on the number of vehicles in their cities to reduce vehicular pollution and their carbon footprint. Malaysian cities should follow suit and timely action should be taken now to ensure we are not left behind in the pursuit of clean environment. The plan for the much-awaited mass rapid transport (MRT) system in the Greater KL (GKL) area should be accorded fast-track priority and the project should get off the ground as soon as possible. All efforts should be taken to ensure the project will not turn into a white elephant (built at a high cost and under-utilised) which could well be if it fails to integrate seamlessly with other existing modes of transport such as the light rail transit, monorail, public buses, taxis and other transport system. With petrol prices expected to go up further with the lowering of government fuel subsidy in the coming days, having a world-class public transport system that is operated efficiently will be a big boost to the liveability of our cities including Kuala Lumpur, Petaling Jaya, Subang Jaya and Shah Alam. In order for the MRT project to be a big success, the cost should be kept down so that its operation will not be over-commercialised and profit oriented. The fares should be kept affordable for the common folks in order to ensure it will be widely used. The proposed redevelopment of the sprawling Rubber Research Institute (RRI) land in Sungei Buloh and the Sungei Besi military airport land among others is a good opportunity to undertake a holistic master planning for a top-notch public transport system that will serve all the well-populated parts of our cities. The success of the project in the GKL should become a model to improve the public transport system in other cities country-wide to keep up with the rapid urbanisation and needs of the people. Cities like George Town, Malacca and Johor Baru are also in need of much better public transport system to move forward. Quality infrastructure projects, including good public transport system, will without doubt spawn more well-planned real estate projects and townships that will ease the shortage of supply of a broad range of quality housing products, especially affordable housing units. Ideally, there should be a greater emphasis on quality housing projects versus commercial projects in these developments since there is a shortage of good housing units now and a glut of commercial space, especially office buildings. Another timely initiative will be to enlarge the role of the national housing company or Syarikat Perumahan Negara Bhd (SPNB) to be more proactive as the appointed agency to be responsible for providing enough affordable housing units for the lower and middle income groups. There is currently a severe shortage of affordable housing projects in good locations as many developers are busying themselves with higher-priced niche lifestyle projects that offer higher premiums to their bottomlines. So the vacuum in the affordable housing sector should be filled by SPNB in concert with the various state housing authorities. A national census or survey should be undertaken to gather and compile all the necessary statistics on the actual number of affordable houses that are still needed and to ensure enough of such housing units are build for the people. With the sharp escalation in house prices in many parts of the country, including the GKL, Penang and Johor, many average income earners are unable to buy a house now. As the Government is opening up more land, including the RRI land in Sungei Buloh and the Sungei Besi airport land for redevelopment, SPNB should take the opportunity to work with the appointed organisations the Employees Provident Fund for the RRI land and 1Malaysia Development Bhd for the Sungei Besi land to submit plans for affordable housing needs in these projects. With the huge demand, at least 20% to 30% of the land should be allocated to build housing units priced between RM200,000 to RM300,000. If SPNB is unable to undertake this role for whatever reason, a proper national housing board (like the one in Singapore) should be established touphold the public housing needs. Deputy news editor Angie Ng believes that to achieve anything worthy, it is time to cast out rhetoric and slogans, and get on with real action. The dream of homeownership is very much alive in the emerging world. The financial crisis that began in 2007 had its roots in excesses in the housing market that remained unresolved in 2010 and that will continue to roil economies in 2011 and beyond. Everybody now knows about America's dodgy “subprime” mortgages (the term says it all). But it is all too easy to forget that the development of this market was initially welcomed, because it enabled even people who would not normally qualify for a mortgage loan to aspire to homeownership. Subprime mortgages made the American dream come true. Of course, billions of others around the world share the same dream. But the way housing finance is organised differs enormously from country to country, and these differences explain the recent global imbalances and financial crashes. In developed economies, construction can add only a relatively small amount each year to the existing stock of housing. With populations stagnating (or declining in many parts of Europe and Japan), the existing stock of housing is exchanged among different parts of the population, and typically bequeathed from old to young. The situation is different in emerging economies, where the quantity and quality of the existing stock of housing is woefully inadequate. Moreover, most of the existing housing tends to be in rural areas, whereas most of the jobs are in the cities. This is why urbanisation means a huge building boom in emerging economies. China, as usual, is the most extreme example, now accounting for more than one-half of global cement consumption. The dream of homeownership is thus very much alive and is a powerful economic force in the emerging world. But mortgage markets remain underdeveloped in most emerging economies. This means that young Chinese couples will first have to save a large part of their income as a downpayment for their dream house (typically an apartment in a high-rise). The absence of “no money down” mortgages might be more important than Confucian ethics in explaining China's high savings rate. One sure way to reduce the savings rate in China would be to develop an American-style mortgage market there. The Chinese and others should, however, bear in mind that an increase in housing prices does not make a country richer. Of course, every homeowner will feel richer if his property's price goes up. But if the price of all housing goes up, the country as a whole is no better off; after all, people have to live somewhere, so, other things being equal, cashing in on higher house prices would merely mean paying more for one's next home. Housing booms thus create only an illusion of wealth, though it is compelling enough to induce excessive consumption, as occurred in the United States over the last decade. Conversely, a crash in house prices does not destroy any real wealth (the houses still stand). On the contrary, a crash makes the dream of ownership more affordable, which benefits first-time buyers typically the young and less well-off. 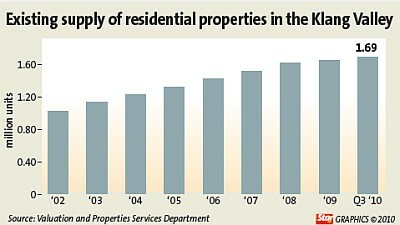 But, from an economic point of view, the share of homeowners versus tenants is not very important. If the rental market is well developed (as in, say, Germany), most families might elect not to own. But Germans still own indirectly the houses they live in through their investments with life-insurance companies and savings societies, which own and manage a large proportion of the country's housing estates. By contrast, from an economic point of view, many American households really rent their homes from the Chinese government. They might be proud homeowners on paper, but their mortgage was probably underwritten by quasi-governmental institutions like Fannie Mae and Freddie Mac, which in turn rely heavily on capital from China for their own refinancing. The real danger arises when everyone is convinced that investing in real estate is the best way to secure one's own future because house prices can only go up. This induces lenders to provide not only NINJA (no income, no job, no assets) mortgages, but also generous loans to real-estate developers to build ever larger mansions and housing estates. As long as a boom lasts, everybody benefits. But when the bubble bursts, the NINJAs cannot service their debt and builders go into bankruptcy. Lenders find that the collateral (half-finished or empty houses) is worth almost nothing, resulting in huge losses in the banking system (as the United States found out in 2008). In extreme cases, as in Ireland (one hopes not in Spain), the need to save the banking system can bankrupt an entire country. Housing booms can last a long time, typically more than a decade. The downside is that housing busts last equally long, because houses are such a durable good. Once too many houses have been built, the existing overhang depresses the market for a very long time, and unemployed construction workers are usually unable to find jobs elsewhere. The last decade saw the peak of an unprecedented housing boom in most of the rich world. The bust, with its banking problems and unemployment, is likely to last for most of the coming decade, depressing growth in all those countries which looked so strong in 2008. By contrast, the emerging economies have barely started their own boom, which is underpinned by the spillover of liquidity from the United States. The emerging world's boom might well stretch over the entire next decade, as hundreds of millions of homes are built. The Shah Alam City Council (MBSA) was recently presented with the Sustainable City 2010 Award at a national-level event. The recognition marked the third consecutive year the MBSA has won the Sustainable City award since it was introduced in 2008. For this year, the MBSA came in second with a 90.09% score while the administrative capital of Putrajaya emerged tops with a 94.12% score. The conferment of the sustainable city title was based on evaluation done by the Town and Country Planning Department in Peninsular Malaysia via the Malaysia Urban Indicator Network (MURNInet) Programme. MURNInet is an application to create a database in digital form that can measure the sustainability of a city. Through MURNInet, local authorities would be able to identify the problem, the quality of an urban settlement and present proposals to resolve and improve the level of services to residents. The assessment was conducted using several indicators like demographic population in a city, utilities and infrastructure that are efficient and sufficient to ensure the residents’ well-being, provision of community and recreation facilities, sociology and social impact to ensure quality of life, management and strong financial standing. The Sustainable City 2010 Award was presented by Housing and Local Government Minister Datuk Wira Chor Chee Heung in conjunction with World Town Planning Day 2010. Shah Alam mayor Datuk Mazalan Md Noor was on hand to receive the award. “With the award, MBSA will strive to maintain and enhance several indicators to achieve a more sustainable level and make Shah Alam an ideal place to live, work and raise a family,” he said. The MBSA was also presented a five-star rating in the Malaysian Government Website and Portal Evaluation by the Multimedia Development Corporation (MDeC). The five-star rating for the council’s website was based on the content and information that is regularly updated and current. The MBSA’s website also has web-friendly features, is easy to browse, posts relevant information like department/ division contacts and client charter, has online payment channels (e-payment), and is linked to myGov and other government agencies websites. Mazalan added that the MBSA, through its Information and Communication Technology Department, plans to introduce several more applications and approaches to facilitate the Shah Alam community’s access to information and services relevant to the council, including the recent introduction of the Shah Alam Kita portal.